Psych rockers from New York led by Jason Russo (also of Common Prayer and Mercury Rev), since 1995 Hopewell have released five studio albums supported by tours with peers like The Dandy Warhols and My Bloody Valentine. Their most recent releases are Hopewell Live Volume 1 (partly recorded at The Flaming Lips-curated ATP NY 2009) and last summer’s “Another Music” EP. After its one-two-punch start “Another Music” peaks with the percussive – and previously unreleased – Dave Fridmann mix of “Over The Mountain” (labeled the “Tarbox version,” as opposed to the live version). The bulk of the EP sprung from an ongoing recording project on tour and at shows opening for My Bloody Valentine a few years back. The EP was created with these “found sounds and excerpts of previous recordings.” Then they added avant-garde saxophonist Mark Marinoff. Mind-melting ensued. A contemporary underground psych honcho who produces, writes and plays with a variety of bands (such as Brian Jonestown Massacre), Mark Gardener is best known as Ride’s co-founder and co-lead vocalist/ guitarist/ songwriter. 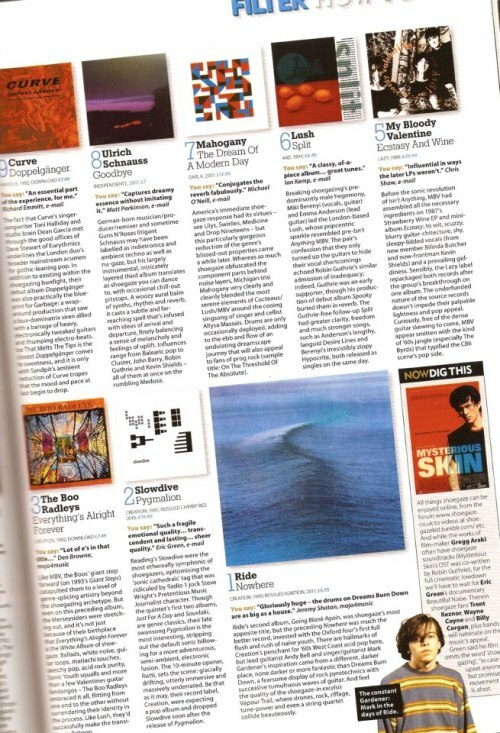 Ride’s debut LP Nowhere is commonly listed as one of the ’90s “essential albums” and is the textbook example of “shoegaze.” In last month’s issue of Mojo for example it bested My Bloody Valentine et al as the genre’s all time top release (shown at right). Who is this Brian Eno character that music geeks keep blabbering on about? Eno is the egghead conceptualist behind a series of (frequently minimalist) acclaimed solo LPs; David Bowie’s late ’70s sidekick in re-invention; and the producer who helped popularize Devo, Talking Heads, and the No New York no wave comp (among others). Back when he still had hair – and a warped glam fashion wardrobe – he played synthesizer and “treatments” in Roxy Music. Those clever lads in MGMT wrote a song about him. If you’re cornered at a party by some hipster who won’t shut up about Eno all you have to do is say, “oh, I love the way his music was used in ‘Trainspotting’ and ‘Velvet Goldmine'” and – having gained their respect – you’ll be free to excuse yourself. “Needle in the Camel’s Eye” is the standout opening track from Eno’s 1974 classic Here Come the Warm Jets 1974. Jason was recently awarded the most prestigious Future Heart Twitter Account of the Year – here’s why. 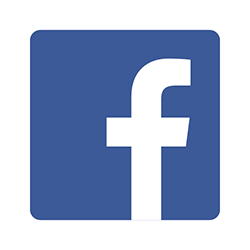 You can follow the band at twitter/wellhope and facebook/wellhope. Sounds awesome! The DNA and soul remains intact.